DSM offers the tools and processes to digitally capture, organize, store, protect, and deliver the mountain of “unstructured data” such as reports, paper documents, spreadsheets, contracts, and videos into a fully searchable, web-enabled, electronic repository. Custom implementations are provided depending upon the specific industry and departmental needs of an organization. In a perfect world, the EHR would be completely paperless. However, 20% of medical records remain in a paper format and archived paper records continue to consume space and budget dollars. The DSM Back-Scan and On-Demand Scan solution provides for the easy, in-house scanning and indexing of medical documents utilizing the latest high speed scanners and text recognition technology. Immediate, secure, web-based access to patient information. 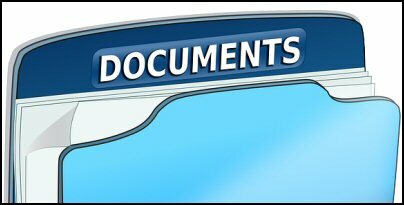 Familiar, standard, easy-to-use PDF page format display of medical documents with full word and character string search functionality. Utilizing existing MPI for indexing. Conforming to existing Medical Record number and tab indexing methods. Ability to create Paperless Electronic Forms. Unique, simultaneous dual indexing, storage, and protection of documents. Methods to automatically capture, index, and store digital and scanned information at registration or in medical records. Turn-key installation and on-site training. Utilizing industry standard hardware and software products. DSM utilizes advanced scanning and OCR recognition technology to transform legacy documents from paper into a digital, full text searchable archive. Advanced image processing improves the readability and quality of older documents. With this technology, any department or organization can realize the benefits of sending their file cabinets to the metal recyclers. Rethink the way you process and index daily documents. The DSM unique and innovative approach to document management can produce the allusive “Paperless” Utopia.